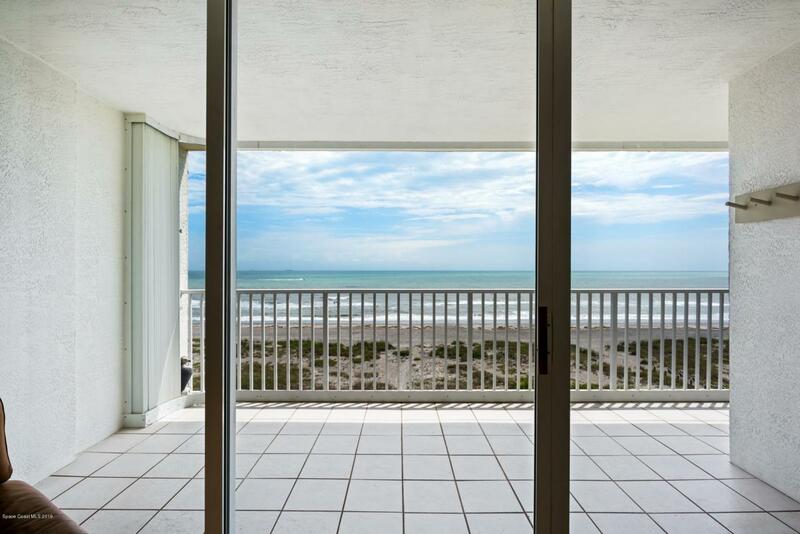 Walk out onto your spacious tiled OCEANFRONT 6th FLOOR balcony to breathe in the salt air, watch surfers, & hear the waves break. Easy to maintain beautiful tile throughout with nice touches like granite counters, French doors, brushed nickel hardware, built ins, & more. 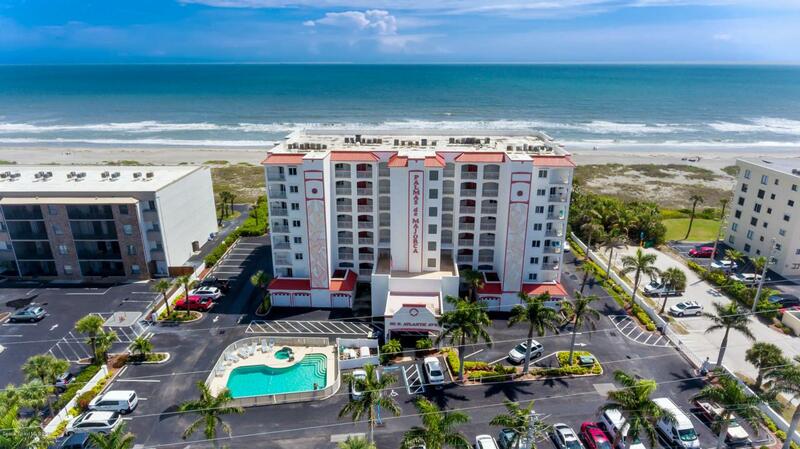 Large Master has French entry doors, 2 Master walk in closets, sliders to the balcony, soaking tub to relax in after a day on the beach, linen closet & double sinks. Large open kitchen with plenty of cabinetry & breakfast bar for entertaining. FULL SIZE laundry room for convenience. 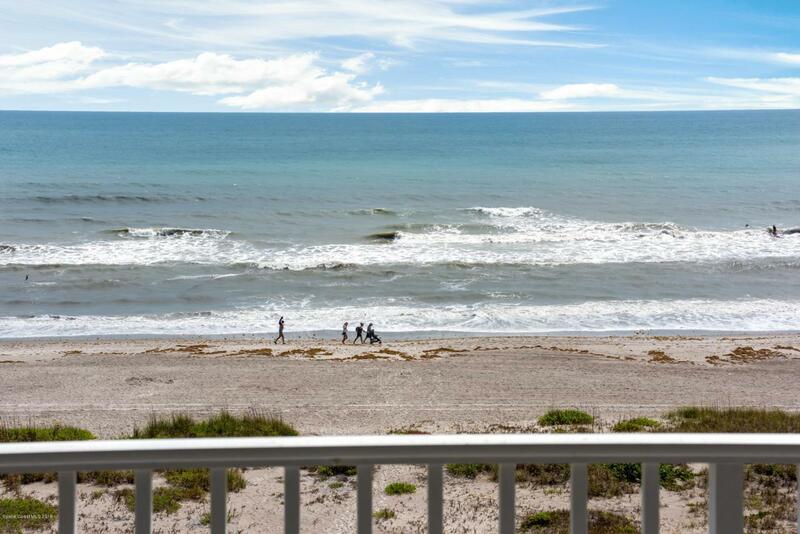 Relax on the community sun deck before taking a dip in the ocean waves or the pool. Gated and secure lobby, along with hurricane shutters offer peace of mind. 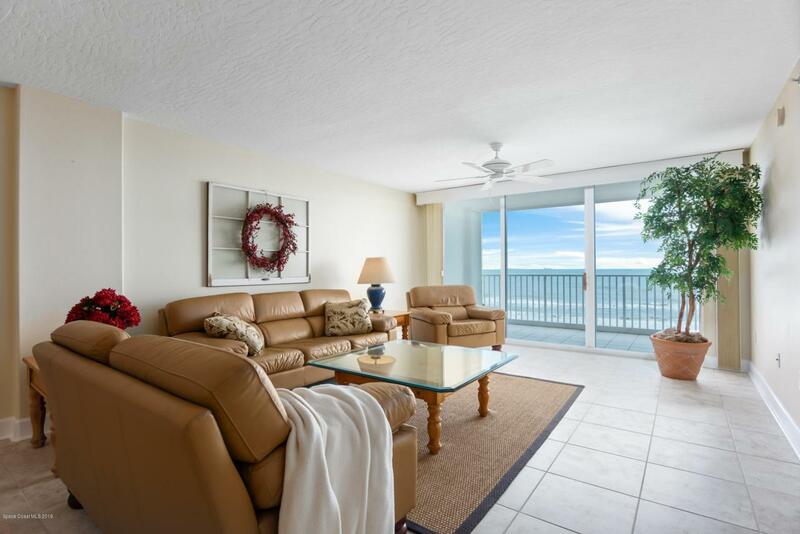 If you want a move in ready direct Ocean Front, you've found it! Call TODAY to see!